> 12 BURNING WHEELS Release Day! And listen to the author's playlist! 12 BURNING WHEELS Release Day! And listen to the author's playlist! 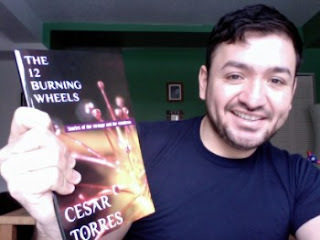 Today is the official publication date for Cesar Torres' The 12 Burning Wheels. Order info is on the books page and on this page a couple posts down. We are extending all the pre-order deals indefinitely. Cesar has placed a fun extra on his site: his music playlist, 12 songs to accompany to the stories. So go check that out, too. 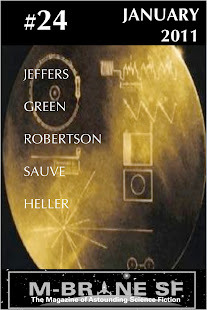 If you would rather buy it from Amazon than avail yourself of one of my direct offers (maybe you're buying other stuff on Amazon anyway), the print version is available there, but there has been a delay with Kindle version going live (we have it here, however, as well as an .epub edition). I won't rain on this great day by complaining about Amazon, however, so I will save my gripes about dealing with Kindle store for another time. The image is of the author and his fine book. Get a copy now! Awesome Ces! Congrats!!! I'll be picking up my copy today!